Clockwise from left: Photos by Craft Collective, Earth Eagle, Schilling Beer Co., and SoMe. Breweries have officially become the new garage band, with everyone from cube jockeys to disgruntled barkeeps hankering to wield a mash paddle. There are now over 3,200 breweries operating in the U.S., the most since the 1873, with a majority of those popping up over the last decade. If you’re doing the math, that’s over 1.5 breweries opening every day, a staggering number that has a fair share of brewmasters anxious about oversaturation. And who can blame these nascent operations, what with the allure of shirking nine-to-five banality for a life among hops, steel, and fermented glory. But craft beer nerds, Bryan Ferguson and Adam Oliveri, want you to know there’s another way. At the end of March, Ferguson and Oliveri launched Craft Collective, with the aim of bringing the wares of smaller, niche brewers to Boston bars and retail outlets. Officially the only craft exclusive distributor in the state, Craft Collective is now bridging the gap between bucket-list breweries and consumers once forced to travel across the region for growler fills and the occasional banner release. Now trophy beers like Fiddlehead Brewery’s Second Fiddle, a dank, resiny double IPA brewed in minuscule quantities, has been spotted at Stoddard’s Pub, Lord Hobo, and better beer stores like The Urban Grape. But that’s not the only buzzy entry in Craft Collective’s growing menagerie. The duo is also working with Queen City Brewery (Burlington, VT), Proclamation Ale Co. (West Kingston, RI), Schilling Beer Co (Littleton, NH), Backacre Beermakers (Weston, VT), Fiddlehead Brewery (VT), SingleCut Beersmiths (NY), Transmitter Brewing (Long Island City, NY) Kent Falls Brewing (CT), SoMe Brewing (York, ME), and later this month, Earth Eagle Brewings (Portsmouth, NH) and Hermit Thrush Brewery (Brattleboro, VT). 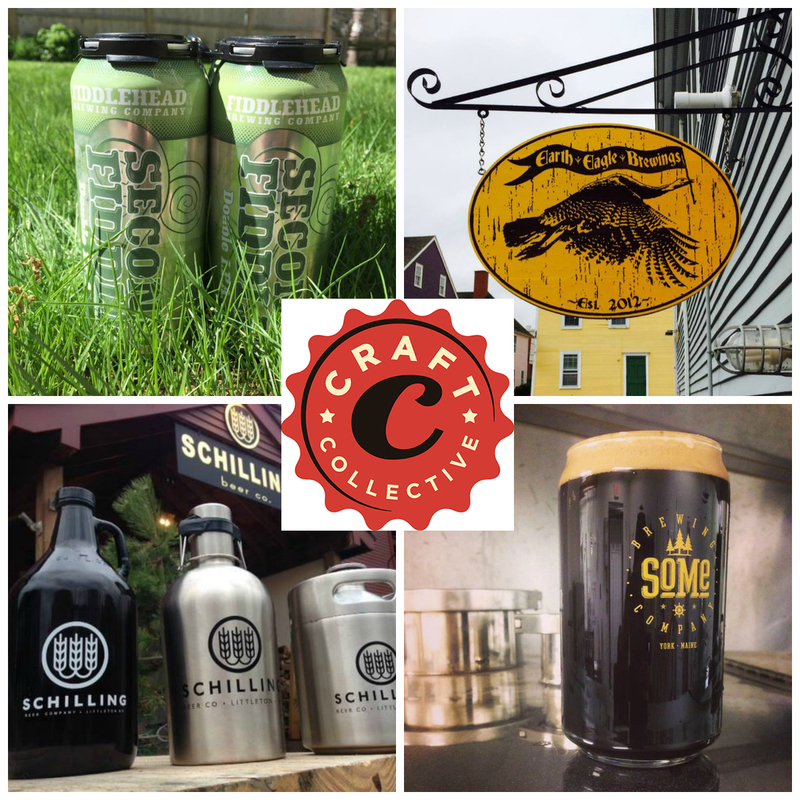 Craft Collective says they’re still actively looking (as well as being pursued) for better brewery clients, particularly here in Massachusetts. But they’re also hoping to execute the second half of their original business plan, a brewery incubator that will help nano- and other smaller operations reach more aggressive levels of production. Oliveri says the distribution arm of Craft Collective was a necessary first step in marketing, but the two are looking to open a production space with a shared taproom—a “destination” spot perfect for a metropolis eager to explore New England’s growing craft beer bounty.